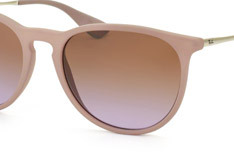 The unisex Ray-Ban Erika RB4171 622/8G sunglasses are strikingly stylish while offering maximum protection and comfort. 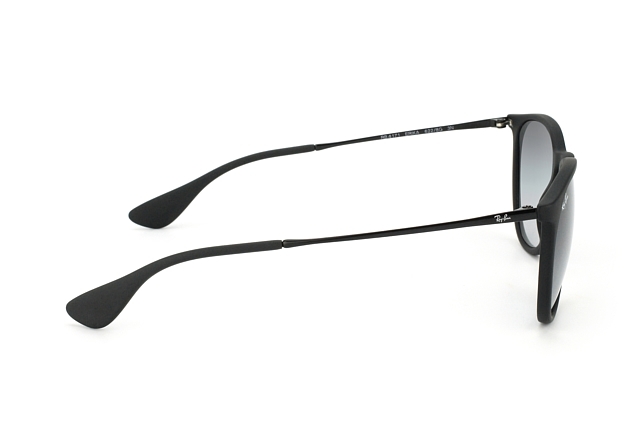 The large, full-rim lenses are both an attention-grabber and a guarantee that no harmful rays will reach your eyes. The gradient grey, high-quality plastic lenses mean these sunglasses are also suited to everyday activities like driving. The slender frame, made of durable plastic and metal in the temples, is feather-light at just 21 grammes, so no matter what the situation these sunglasses won’t weigh you down. 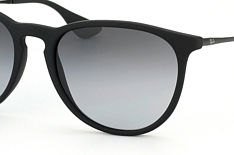 You’re looking for THE brand when it comes to glasses and sunglasses? Then you’re at the right place. 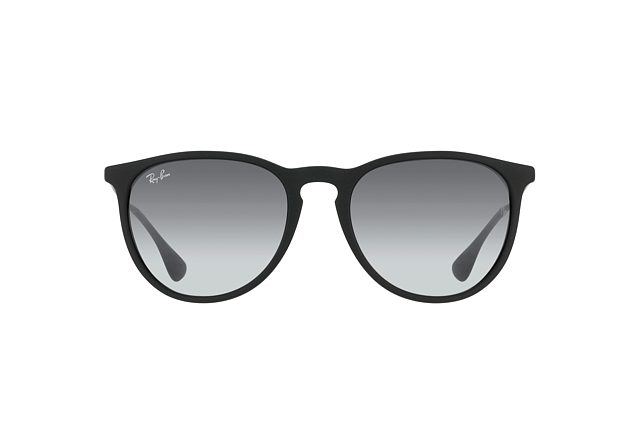 When it comes to eyewear, Ray-Ban is second to none in the popularity stakes and tops bestseller lists the world over. 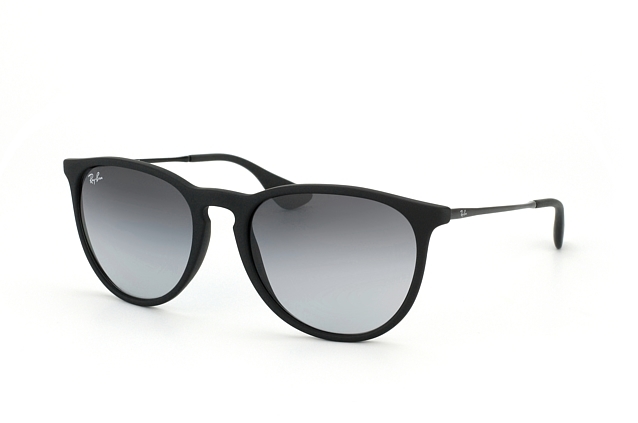 The Aviator is probably its most famous model and was originally designed for US Air Force pilots. 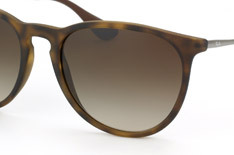 The Wayfarer and Clubmaster have also long since achieved cult status among glasses fans. Both the label’s prescription glasses and sunglasses continue to be trendsetters, with the range constantly expanding in terms of styles and colours. The mix of design, functionality and quality are key to the label’s success, with numerous celebrities counted among its fans. Take this chance to show your star potential!